Katherine Jones, age 85, of Hamilton, passed away peacefully at home on October 23, 2018. She was born the daughter of Jess and Catherine Bowcock on June 23, 1933 in Corbin, KY. Katherine is preceded in death by her parents; brothers Jess and Lamar Bowcock and brother-in-law Jack Stiver. Katherine is survived by Willie Jones, her devoted husband of 65 years; daughter Vickie (Steve) Martin; son, Steve Jones and devoted friend, Diane Mescher; sister, Betty Stiver; sisters-in-law, Laura Bowcock, Lettie (Chester) Dizney, Betty Ruth (Arlie) Veer, Ray (Meta) Jones; grandchildren, Justin (Laura) Cole, Brandon (Angela) Cole, Rachel Smith, Brennan Jones, Matt & (Jess) Martin and Liza (Dave) Voge; great grandchildren, Madison Lexi, Sophia, Charlotte. She is also survived by several nieces, nephews and neighbor and friend Randy Hymer. Katherine was very proud of her family and devoted her entire life to them. Family gatherings were very special to her. She was in her glory when cooking, cleaning and serving family and friends. She enjoyed a long career with Champion Paper International. She was a founding member of West Side Church of Christ. She enjoyed being the co-pilot on many trips to Florida with her husband and children. 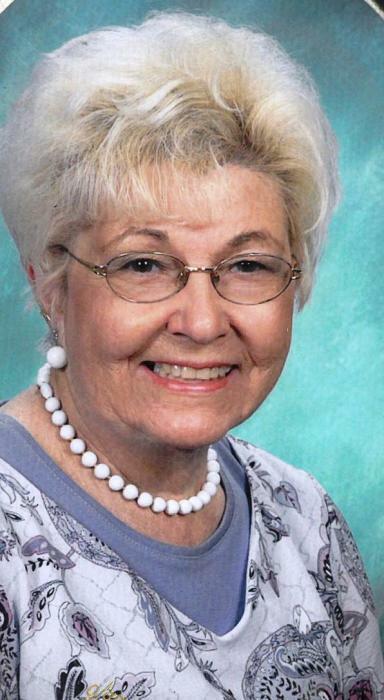 Her interests included spending time with her grandchildren, travel, quilting, gardening, crossword puzzles water skiing and coffee. Her family extends heartfelt gratitude to her caregivers for the comfort they provided.